Electromagnetic fields (EMFs) have been proposed as a tool to ameliorate bone formation and healing. Despite their promising results, however, they have failed to enter routine clinical protocols to treat bone conditions where higher bone mass has to be achieved. This is no doubt also due to a fundamental lack of knowledge and understanding on their effects and the optimal settings for attaining the desired therapeutic effects. 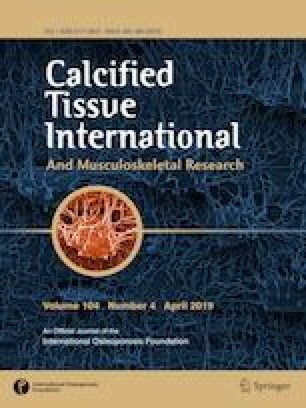 This review analysed the available in vitro and in vivo studies that assessed the effects of sinusoidal EMFs (SEMFs) on bone and bone cells, comparing the results and investigating possible mechanisms of action by which SEMFs interact with tissues and cells. The effects of SEMFs on bone have not been as thoroughly investigated as pulsed EMFs; however, abundant evidence shows that SEMFs affect the proliferation and differentiation of osteoblastic cells, acting on multiple cellular mechanisms. SEMFs have also proven to increase bone mass in rodents under normal conditions and in osteoporotic animals. C. Galli, M. Colangelo, G. Pedrazzi and S. Guizzardi have no conflicts of interest to disclose.